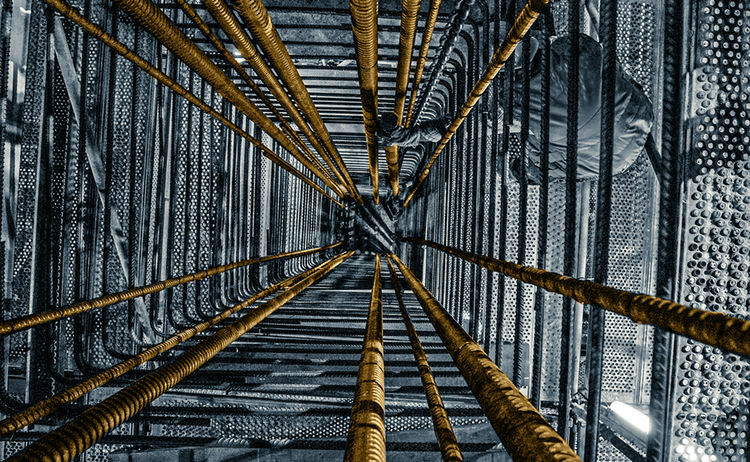 The high-strength thread bars SAS 670/800 and contact couplers are used for reinforcing the columns of a high-rise building (total height of the building ~170 m) in Germany for the first time. 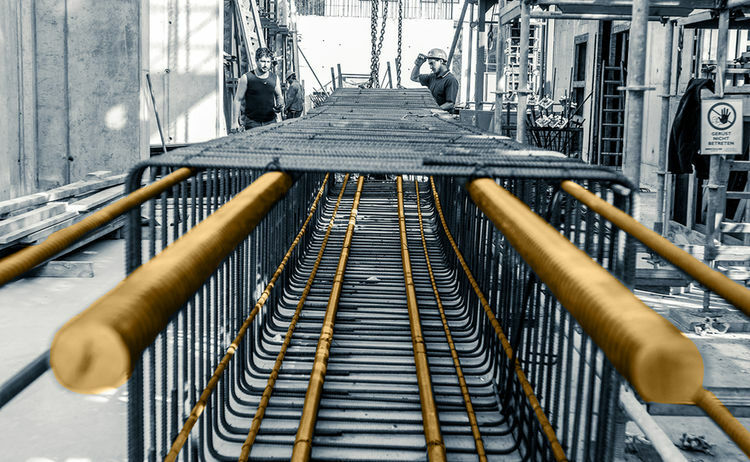 The total longitudinal reinforcement of the high load capacity and edge columns is designed with the high-strength thread bars SAS 670/800. The ratio of reinforcement is up to 13 %. This high ratio of reinforcement at no congestion of steel in the columns is possible due to the rebar diameter of up to 75 mm. Mechanical splices of SAS thread bars by contact couplers allow the transferring of high compressive forces.